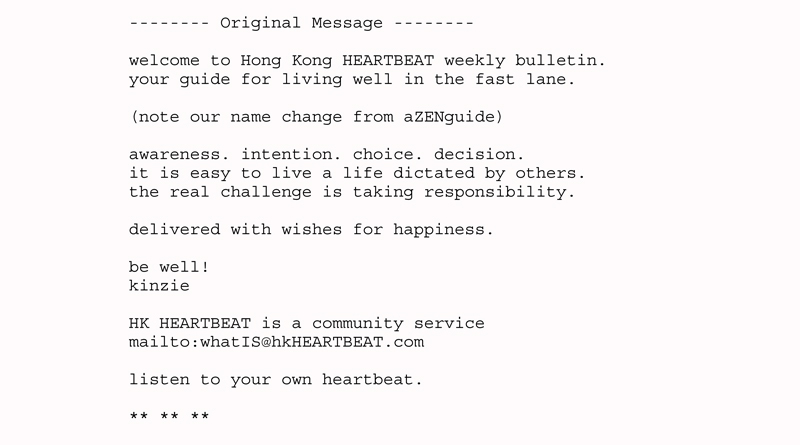 HK heartbeat enews is a new weekly event calendar listing holistic activities for self and community. The publication is born out of a desire to circulate information I receive about what’s on in Hong Kong. There is a wide range of fun and healthy activities on offer and a growing number of people looking for ways to contribute to our own personal growth as well as the careful development of our planet earth. Like any community, our strength is in our cooperation. We are fortunate to live in an international village with a vast array of skills, talents, gifts and viewpoints. Knowledge becomes increasingly valuable as it is shared. I manage the publication and aim to keep the material simple in order to reach across languages with a style that is efficient and not intrusive. The list is for the sole purpose of this email newsletter. Feel free to share this content with your community. HK heartbeat is published every Tuesday. Submission deadline is the previous Friday. Your contributions and feedback are appreciated. HK heartbeat members have relied on our updates since the first email to stay in touch with what’s new and what’s on in Hong Kong. Our favorite weekly newsletter features upcoming events, new members and the weekly essay by founder Kinzie … our members share the love. What a writing gift you have. Each time I read your pieces they are so inspired. 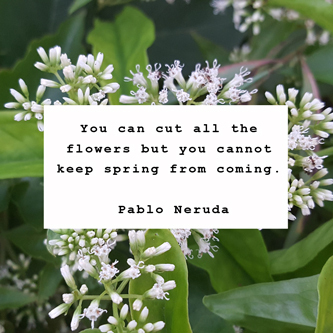 When is your book going to be published? You need to share your special wisdom with millions more.